It was clear almost instantly how much of God's work is being done here at Mustard Seed. "Leading up to the trip I was incredibly nervous about how it would turn out. 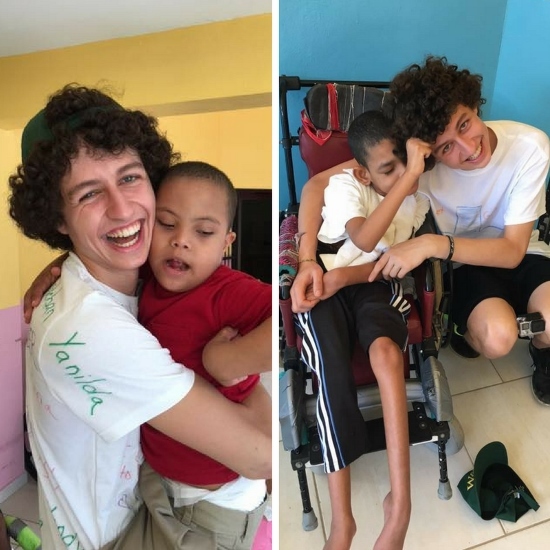 Prior to traveling here, I had never had a conversation with anyone else in the group and I had never worked with children with such severe disabilities. Now I can't imagine having been so afraid because the trip was such a blessing to me. The children crave love and the first few days were filled with learning how to show them it. Each child responds best to a different way of being fed or played with and as a result, I had to experiment with many possible ways of getting them to smile. Through this, the thing that has become most evident to me is the commitment of the caregivers towards these children. They know exactly how to work with them and are the most perfect examples of patience and selfless love that I have ever witnessed. Seeing each child as God does, the caregivers treat all of them as worthy of dignity and genuine love, which is something that most of these children may not have experienced if they had not ended up at Mustard Seed. As a result, over the course of the trip, my perspective changed from more selfish concerns to being committed to providing as much love as possible to these children and doing any service that I can to help such amazing caregivers. I am so grateful to have had this opportunity to serve such a beautiful organization working for such beautiful kids."